Joyce and Stream of Consciousness – kind of! 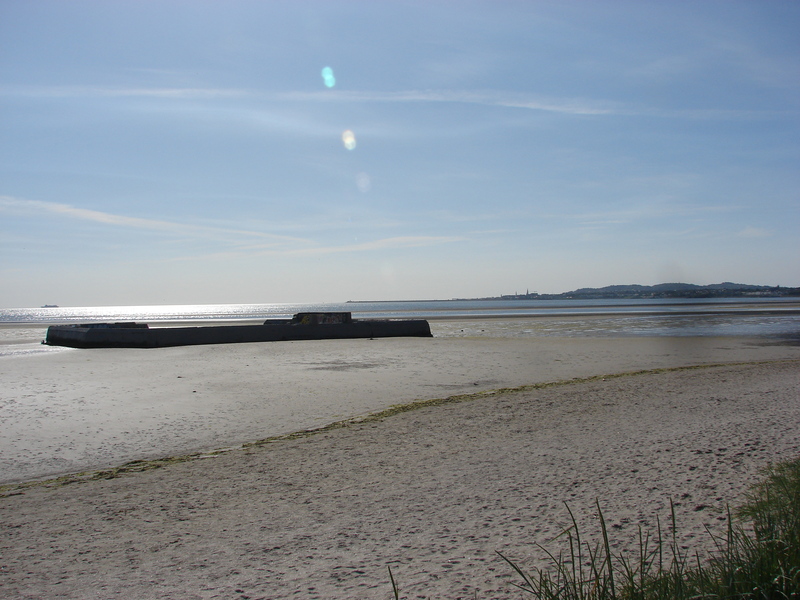 Arguing with the guy you know who can beat you – I had never thought of it like that before but it makes sense, especially now as I am walking on Sandymount Strand with nobody within two hundred yards, and I can hear words go back and forth inside my head as the argument carries on. And I am nervous because I feel that I might just lose. How crazy is that? Very, I thought, and I wondered which one of those arguing had responded. I stopped, looked around making sure that I was still out of earshot of any beach walkers, and said ‘What’s going?’ There was a long silence and I heard nothing as both voices seemed to have, well, lost their…you know. It was a weird moment and I remembered that James Joyce, a keen stroller and habitué of the strand where I now stood, was fond of using stream of consciousness in his writing, a literary device that awakened the world to its subtleties in his most famous work Ulysses, a book that is considered a difficult read by many who pick it up and one of the greatest ever written by countless others. That such a difference of opinion should exist is partially a response to Joyce’s idiosyncratic style with his referencing of mythological and historical characters; differing chapter layouts where various rhythms reflect the story being told at that point and his use of the stream of consciousness technique that permitted the reader to be ‘inside the character’s head’ and in the story like never before. This was a new and radical approach that did not win favour at first, except with a small number who saw the liberating aspect that he had revealed. Being ‘inside the character’s head’ was not only interesting and revelatory but, as many readers found out to their surprise, an uncomfortable place to be, as much for its unexpectedness as its lack of familiarity, and the not-knowingness of what was coming a step too close to a reality they thought they had left behind, if only for a little while. Yes, Jimmy, my man, you have managed deliberately, of course, to ‘get under the skin’ and show normal life in all its simple and twisted moments; a life that happens more surprisingly that we ever imagined; where what we see is not always what we think it is and where the opposite is equally true, and where stream of consciousness, although a wonderful addition to the writer’s quiver of literary techniques is above all, to put it simply and something that I suspect Jimmy recognised because he was such a sharp observer, about thinking people thinking as they move through the day, as they have since the dawn of time. 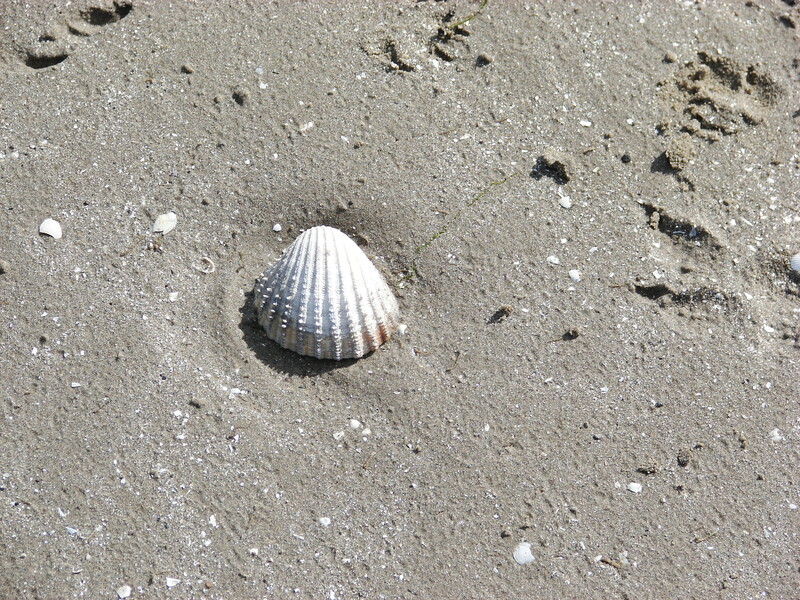 Some time ago I was walking on Sandymount Strand when an idea floated into my mind, like a wave coming to the shore. It is one of my favourite places in Dublin to go and ‘be alone’ with my thoughts, such is the calm and quiet of the wide beach, especially in the early morning. As I walked slowly along the sandy beach towards Ringsend, I gazed over the mirror-still water to Howth, and beyond to the horizon. How often had other people looked out at this same scene, I thought, and let the idea roll and tumble like the spray from a breaking wave? People had been coming here for thousands of years and they, too, had gazed out over the very scene that was now mine to behold. For just in front of me was a line of footsteps in the sand, an image that had not changed since the first person who walked here left similar marks, so very long ago. The French have a saying ‘Plus ca change, plus c’est la meme chose’, which translates as ‘the more things change, the more they stay the same.’ That seemed about right to me as I watched the waves rush in and cover the footsteps in their gurgling embrace, removing them so completely as to leave no sign of their short existence. As the water receded, smoothing the sand to leave a blank canvas awaiting its next mark, I remembered that James Joyce had a fondness for this place and included it in his most famous book, Ulysses. In episode three, the young hero, Stephen Dedalus, walks along the strand and ponders the difficult topics of imagination, sensation and thought itself. The feel of the words is meant, in Joyce’s hand, to be fluid, hence the setting by the sea, portraying the move from birth to death, and finally, renewal. Transience leads to something permanent and new, and it is this cycle of renewal that held me as I stepped tentatively into the cold waters, making my own mark that was just as quickly erased. The thought that there are things that cannot be changed had a strange but comforting feeling. Joyce understood this better than most and through Stephen asks the question, ‘Am I walking into eternity along Sandymount Strand?’ This is not something that I can answer, but I like the idea that he and all of us who walk on the strand have ‘our moment.’ We left a mark – and as to whether it will last until eternity – that will be for others to say. In the meantime, I continue to walk on the strand, not so much in the hope of seeing Stephen Dedalus, but in anticipation and comfort of its soothing power and timeless, dreamy rhythm. For someone born on Good Friday, April 13th it was not surprising that such double luck might suggest something special was to be expected. So, Beckett, who was born in Foxrock, Co Dublin in 1906, went on to become one of the most important writers of the 20th century and an inspiration to dramatists like Vaclav Havel, Tom Stoppard and Harold Pinter. His influence on the Beat Generation and their ‘experimental writing’ was vital for Allen Ginsberg, Jack Kerouac and many others. Beckett’s father William, who traced his lineage back to the Huguenots, was a quantity surveyor and successful property developer and had the family house Cooldrinagh built in 1903. His wife Mary Jones Roe was a nurse and they had married in 1901 and Frank, their first son was born the following year. The local woods and open fields of the surrounding countryside were an area where the young Sam often walked with his father, and he often referenced them used them in his writing. He attended junior school in Dublin before going as a boarder to Portora Royal School (1919-1923) in Enniskillen where Oscar Wilde had once been a pupil. 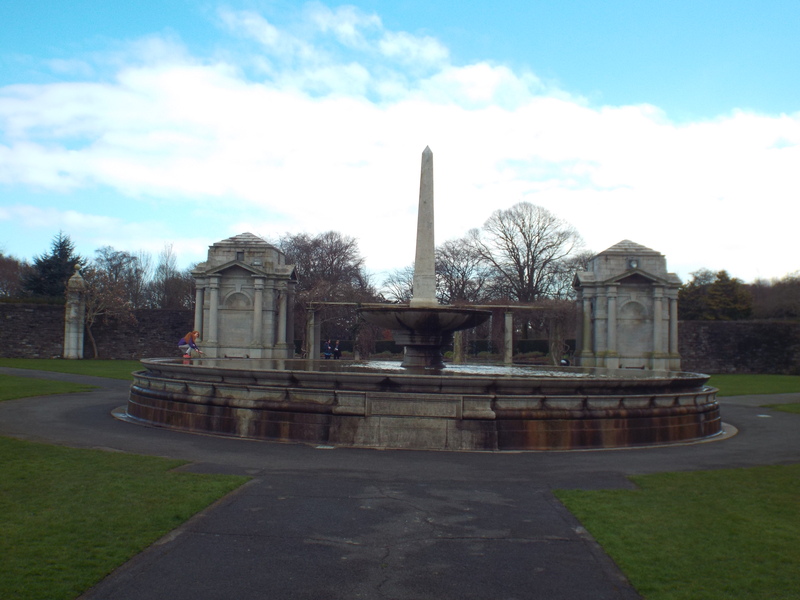 He returned to Dublin and entered Dublin University (Trinity College) where he studied Modern Languages from 1923-1927. He was a bright student and a competitive athlete, excelling at tennis and cricket. Playing as a left-handed batsman he took to the field in two first-class matches against Northamptonshire and, as such, has the unique distinction of being the only Nobel laureate (Awarded in 1969) to be mentioned in Wisden Cricketers’ Almanac – cricket’s ‘bible’. He graduated first in his class and briefly lectured at Campbell College, Belfast. He soon tired of this and with his college first behind him he was invited to be a reader in English at the École Normale Supérieure in Paris in 1928. There he met James Joyce, who was basking in the glory of having written Ulysses in 1922, the controversial, modern novel that made his name. Beckett was invited to join Joyce’s inner circle and helped him in carrying out research for his next project – Finnegans Wake. In 1930 he returned to Ireland to take up a post as lecturer in French at Trinity College, but he left in December 1931 after only four terms. This was his final fling with teaching and he went off on an extended tour of the Continent. He did odd jobs and wrote short stories, poems to earn money and filled many notebooks with notes about places and people that would provide inspiration in the following years. He hated the cruelty of the Nazi regime that he had seen in Germany and in 1937 finally decided to settle in Paris. Before that he returned to Dublin where Murphy was published the following year. Then he fell out with his mother who he was more like than his father and returned to Paris, and did not see her again until after the war. Back in Paris Beckett almost died when he was stabbed in the chest by a pimp after he had refused his solicitations. The knife missed his heart by inches and it was during his stay in hospital that he met Suzanne Dechevaux-Dumesnuil who was to become his life-long companion and greatest supporter. She was in Paris studying piano and they had met once before at a social gathering, but after this they became lovers and eventually married in a secret wedding in Folkestone, Kent in March 1961. He and Suzanne returned to their pre-war apartment in Paris where he had his most prolific period as a writer. 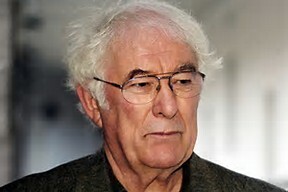 In five years, he wrote Eleutheria, Waiting for Godot, Endgame, the novels Molloy, Malone Dies, The Unnamable, and Mercier et Camier, two books of short stories and a book of criticism. Although he was a native English speaker, he wrote in French because, as he reasoned, it was easier for him to write ‘without style’. 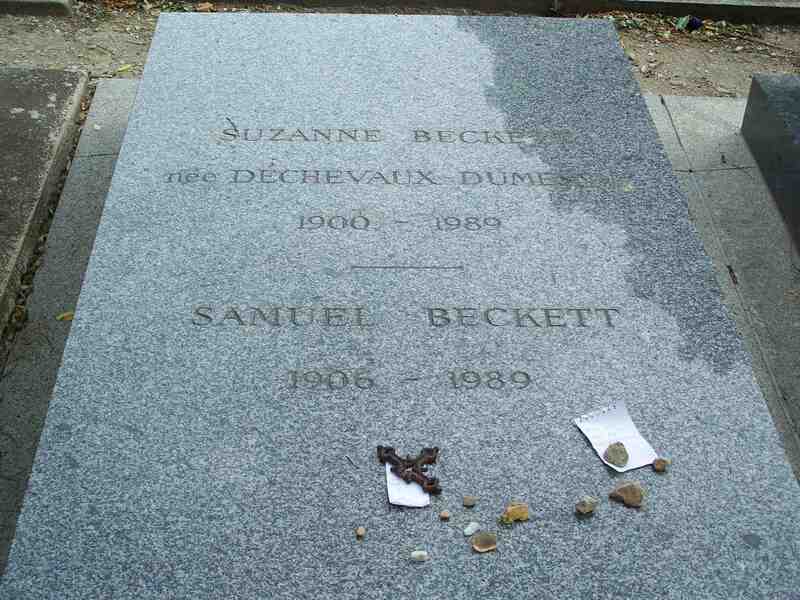 Having completed Godot he was unhappy with the lack of response from publishers and it was Suzanne who badgered them until Beckett’s work was recognised. 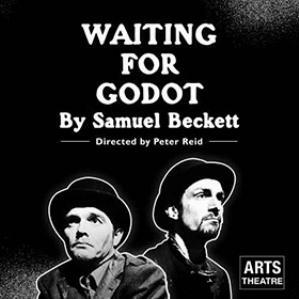 Godot was written between 9 October 1948 and 29 January 1949 and had its premiere on 5 January 1953 in the Théâtre de Babylone, Paris and ran for over 400 performances. This brought Beckett international recognition and the English language version was premiered in London in 1955. In a poll conducted by the British Royal National Theatre it was voted the ‘most significant English language play of the 20th century’. Beckett focuses on the essential elements of the human condition in dark humorous ways in a style that was called ‘Theater of the Absurd’. His plays focus on human despair and the determination to survive in a hopeless world that offers no help in understanding. 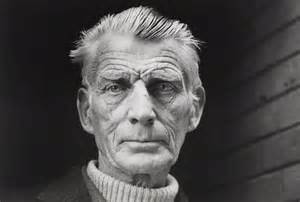 Beckett was awarded the Nobel Prize for Literature in 1969 and died on 22nd December 1989. He is buried with Suzanne, who had died five months earlier, in Montparnasse Cemetery and they share a simple granite gravestone that follows his instruction that it should be ‘any colour, so long as it’s grey’. 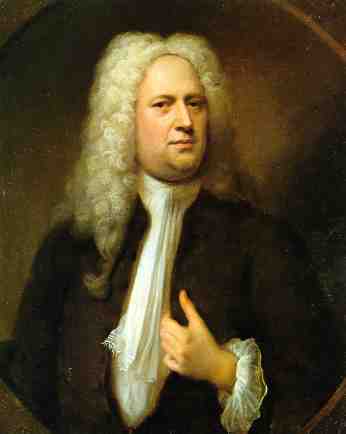 The premiere of GF Handel’s Messiah in 1742 (275th anniversary) and his time in Dublin. When he wrote Ulysses James Joyce said: ‘I’ve put in so many enigmas and puzzles that it will keep the professors busy for centuries arguing over what I meant, and that’s the only way of insuring one’s immortality.’ He may well have succeeded in that as the interest and industry in all things Joyce continues to grow; but having a date in the calendar proclaimed in honour of his book is something else entirely. Such acknowledgement, worldwide and sustained, would have been a great source of pride and, no doubt, brought a smile to his steely countenance. Well done, Jimmy. 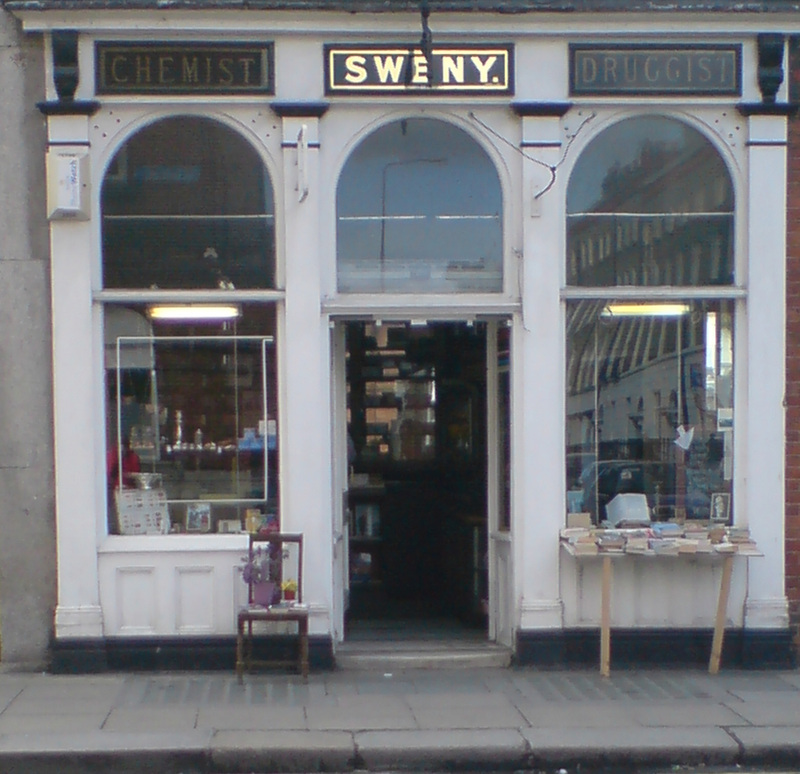 A few years ago I wrote a short story, The Bloomsday Boys, and was fortunate enough to have it read by the actor Shane Egan, on the fateful day, outside Sweny’s Chemist (where Leopold Bloom buys a bar of lemon soap in the Lotuseaters episode (No. 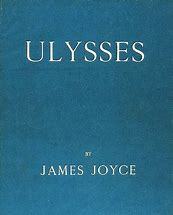 5) of Ulysses). They say that you should never meet your heroes, but I suspect sometimes they are wrong. I know this, because when I, fortunately, met one of mine, it was a brief, but beautiful, moment. 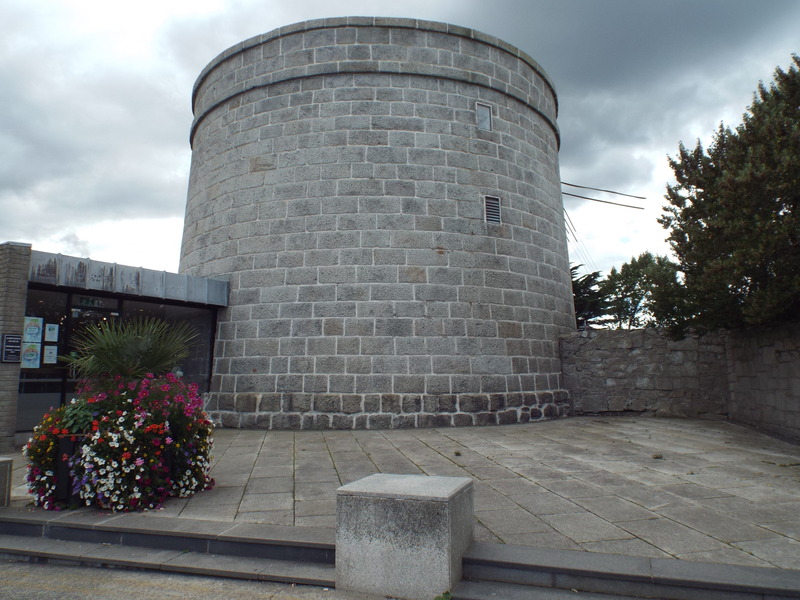 It was on Bloomsday, a few years ago, and I went to Sandycove to sample the atmosphere and get my copy of Ulysses date-stamped in the James Joyce Museum in the old Martello Tower. The place was alive, with many people dressed in Edwardian-era attire and lively chat filled the sea air. James Joyce look-alikes were everywhere, and a few, very attractive Molly Blooms caught the eye. ‘Yes, yes,’ one said in a sultry voice, like her famous namesake, and the crowd laughed and cheered. Inside, the curator stamped the postcards that I was going to send to friends who were Joyce fans. Then she flicked open the cover of my book, put ink on the date-stamp and pressed down hard. I was delighted, and eased my way past the colourful crowds overlooking swimmers in the nearby Forty Foot, and headed home. I got off the train at Booterstown and headed up the road, book and postcards safely tucked under my arm. I had only recently finished reading the great book after numerous false starts, and had decided to get it stamped on Bloomsday as a reminder of my long-delayed achievement. Yes, I had finally finished it, and it seemed like a good idea to get it stamped in the place where the story begins, and also to enjoy the merriment at Sandycove. It was a good decision, and a few photographs and a luscious ice cream helped make the day. As I neared the local shops and thinking about finding a proper place for the book on a shelf at home I looked up, and stopped dead in my tracks. I had to be seeing things, I thought, and quickly headed to the newsagents where none other than Seamus Heaney was buying a copy of the Irish Times. I waited at the door, heart beating fast, and when he stepped outside I stuck out my hand. 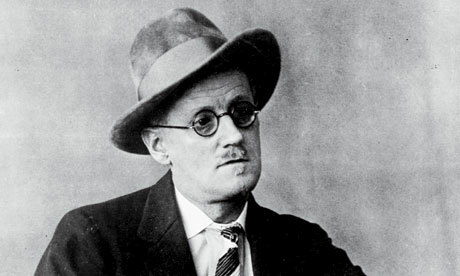 ‘Happy Bloomsday,’ I said. 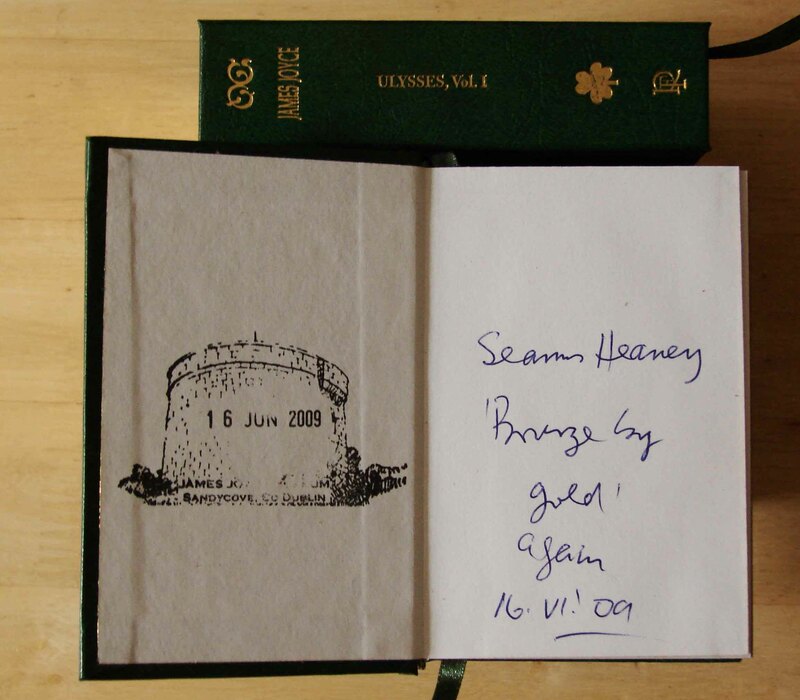 ‘And a very Happy Bloomsday to you, too,’ he replied, giving me a firm and friendly handshake. He noticed my book. ‘Good day for it,’ he said, smiling. So standing in the sunshine I handed my book to the great man and the cover was flicked open again. Moments later he handed the book back and again bid me a ‘Happy Bloomsday’. Then he pushed his spectacles up his nose, fixed the newspaper under his arm and walked to his car. He gave a final, friendly wave and was gone. I stood there for a few moments looking at my book, a smile as broad as Dublin Bay on my face. It had indeed been the briefest of encounters, but I was very happy to have met my hero. 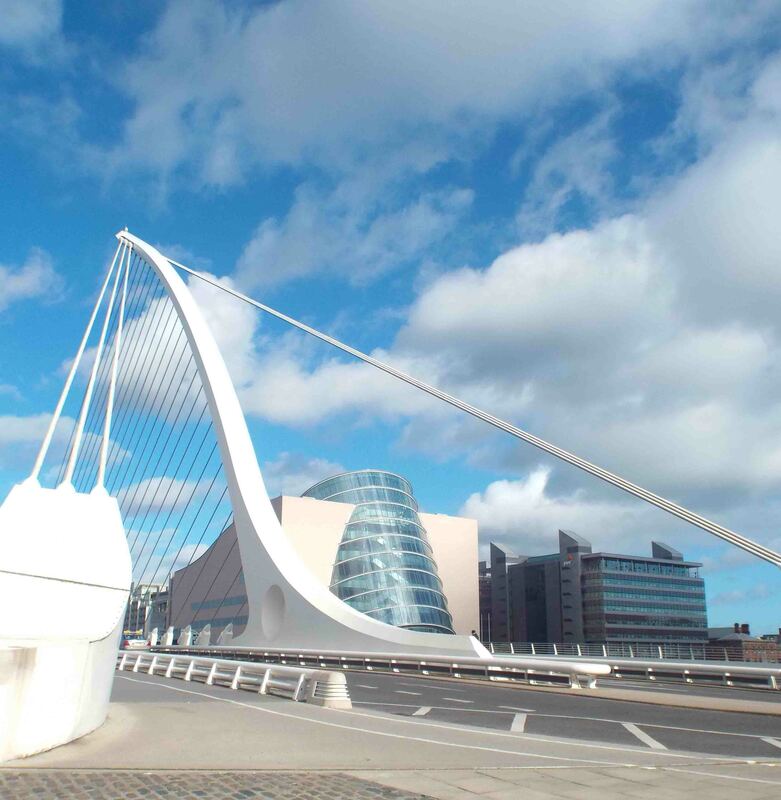 · What's happening in Dublin!